Enter into the Extra TV Universal Orlando Sweepstakes Giveaway now through May 16, 2019 for your chance win a trip for two people to Universal Orlando Resort, home of The Wizarding World of Harry Potter, where you could attend the opening of the epic new coaster, Hagrid’s Magical Creatures Motorbike Adventure. How To Enter: Go to this link:extratv.com/universalorlando during the sweepstakes period and follow the online instructions to register by entering all information requested on the registration form including entering correct secret word of the day. 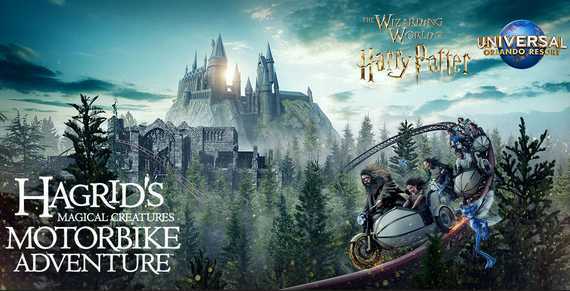 Prize(s): There will be one grand prize winner in this Sweepstakes who could receive Universal Orlando Resort, home of The Wizarding World of Harry Potter, where you could attend the opening of the epic new coaster, Hagrid’s Magical Creatures Motorbike Adventure on June 13th. You’ll experience the excitement of Universal’s three amazing theme parks and stay at one of their spectacular resort hotels. Trip Includes: hotel accommodations, round-trip airfare, Theme Park Admission to Universal Studios Florida and Universal’s Islands of Adventure, plus Universal’s Volcano Bay water theme park. 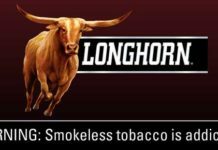 Who Can Enter: Open only to legal residents of contiguous 48 United States and D.C who have reached the age of 21 years old at the time of entry. 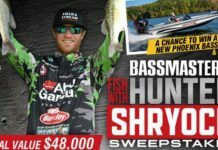 When To Enter: This sweepstakes entry begins at 12:00 P.M. ET on April 15, 2019, and all entries must be received by 11:59 p.m. ET on May 16, 2019. Who’s Sponsor: The Sponsor of this Sweepstakes is Warner Bros. Domestic Television Distribution, 4001 West Olive Avenue, Burbank, CA 91505.